NECC’s Annual Fundraising Event this year will feature Justin Shandor & Memphis Bound: The Ultimate ELVIS Concert. Since the passing of the King more than 36 years ago, there has never been a tribute artist that has so captivated the look, moves, and especially the sound of the King more than Justin Shandor. According to the Jordinares, (Elvis’s original background singers, which Shandor has performed with on several occasions), he has the raw talent that shot Elvis to the top. His likeness to the King is so close that at one time Graceland emailed a casino where Shandor was performing and told them they could not use a real picture of Elvis to advertise their event. It was a picture of Shandor! In August 2010, Elvis Presley Enterprises held a contest in Memphis and invited the top Elvis tribute artists from around the world. Shandor came in first place and Graceland named him the “World’s Ultimate Elvis!” He is the only Elvis Tribute artist to make the front page of USA TODAY, and was recently featured in an issue of French Vogue magazine. 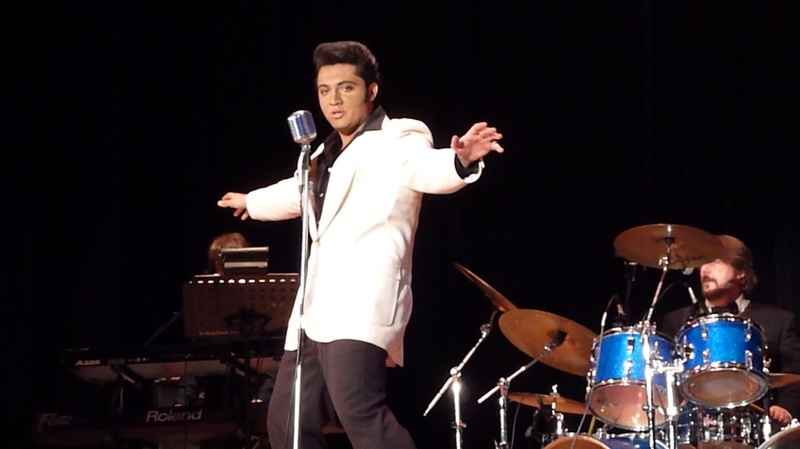 In 2013, he appeared on CBS’ Late Show with David Letterman in front of an estimated 3.5 million viewers, Letterman ran over to Shandor and yelled, “Justin, wonderful, wonderful, do it again, do it again!” Shandor has also performed as Elvis in the Tony Award-Winning musical “Million Dollar Quartet”, playing at Harrah’s Las Vegas. The event takes place Saturday, October 1, 2016, 7:30 PM. Tickets are now available! Call NECC’s Events Line at 978-556-3870. Ticket Price: $50 for reserved seating and all proceeds raised will benefit NECC’s Endowment Fund. Questions – contact Lori Smerdon lsmerdon@necc.mass.edu; Handicap Seating is limited.